Welcome to the continuation of the book study, Mindsets in the Classroom. If you missed Chapter 1, you can read my post here. This book is making such an impact on me, and I am so glad we decided to share it with you. Chapter 2 is all about ways to begin building a growth mindset in your school. Isn't this how we want our students to think? But how do you go about creating a school culture where that is the norm rather than the exception, a culture that values intellectual growth, and a staff who truly embraces the idea that intelligence can be cultivated? Professional development for ALL school personnel (every adult that comes into contact with children) is the first step toward creating this culture. In Chapter 2, Mary Cay Ricci provides 7 steps for building this culture in your school. Before beginning any professional development, it is important for teachers to think about their beliefs and prior knowledge about the topic being presented. Have staff think about, write down and then discuss what they believe to be true about intelligence. I think you will find a wide diversity in the responses. Mary Cay Ricci found that when she surveyed teachers, slightly more of the newer teachers held a growth mindset while more experienced ones tended towards a fixed mindset. Caitlyn from The Kinder Garden has made this great freebie for surveying your staff. Using the information gained in step 1, begin to plan how to educate staff about neuroplasticity in the brain. Keep in mind that this is new thinking for many. (See, their brains are already changing!) I loved the analogy that the author used in comparing their changing thinking to how a toothache is treated! 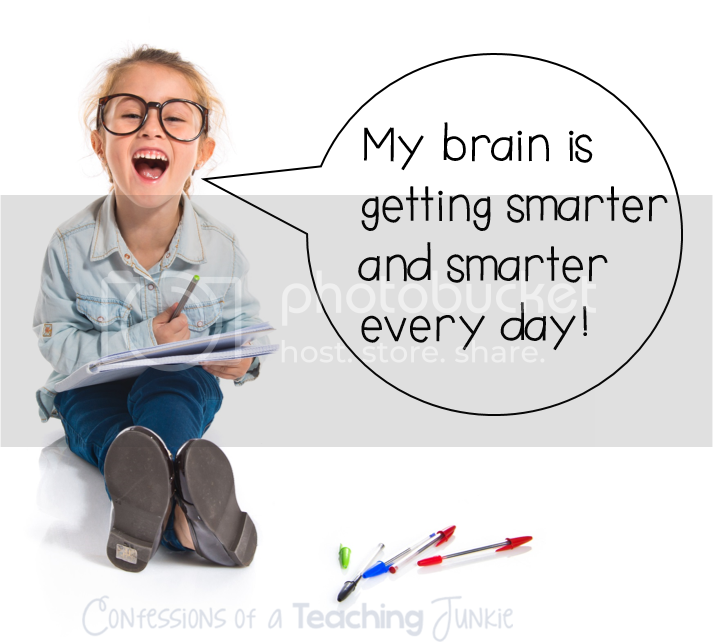 It is because of new studies and brain research that we now think differently about how children learn and process information. We must now move forward and shift from a fixed to a growth mindset. Ricci points out that, "Understanding conceptually and communicating that intelligence is not a stagnant, innate attribute is the most important aspect of professional development." Providing everyday examples of how, if they were given appropriate instruction, enough time, persistence, and motivation, the could become better at something, helps to illustrate this concept of malleable intelligence more easily. Chapter 2 also mentions the MindUp curriculum. I had not heard of this program and did some research. All I can say is, WOW! The focus of the MindUp curriculum is on the development of mindful attention to oneself and to others. Here is a video of Goldie Hawn talking about how the program came to be. It is a bit long, but it was so powerful for me, and definitely worth your time. Developing optimism in our students is a key element of the curriculum. "Being an optimistic learner is beneficial for students, as it helps them become ready to master new learning and be optimistic about their ability to do so." It is because of the brain's neuroplasticity that we have the ability to become happier. And so, we can also become more intelligent. Here is a link to the MindUp curriculum guides. They are available for PreK-2, Grades 3-5, and Grades 6-8. I will be giving away a copy of the level of your choice to one lucky participant in our book study linky! We must be more aware of the way we praise students, praising effort rather than the outcome. 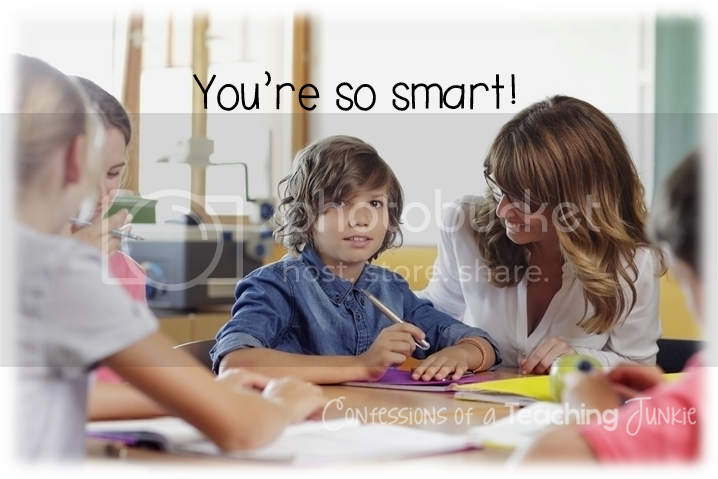 Saying, "You're so smart!" is like saying you're so tall. We mean it as a compliment, but we are complimenting something students do not feel they have control over. And other students hearing that often believe that they will never be smart. When we praise students' action or what hey do, the children attribute that accomplishment to their own effort. Adding effort praise is all it takes to send a growth mindset. Which empowers a student more? It is also important to note that many gifted students believe that having to put forth effort or work hard is a sign of weakness. 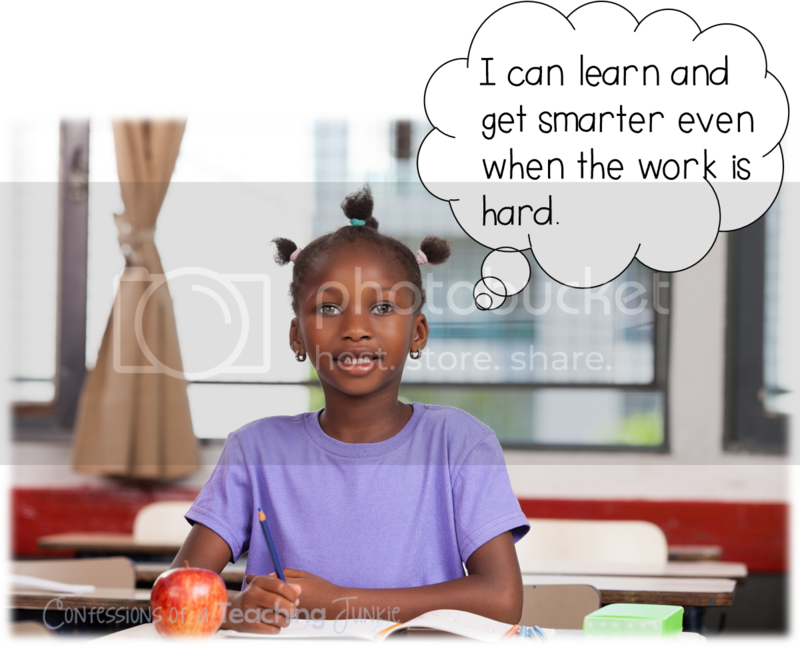 Since they have long been told how smart they are, they think that learning should be easy for them. As educators (and parents) we need to reframe our praise to focus on the effort or improvement, and not on the product. In this way, even struggling students will begin to believe in the possibility of they themselves getting better at something rather than thinking that something is too hard for them to even try. I've left you with a LOT to think about. 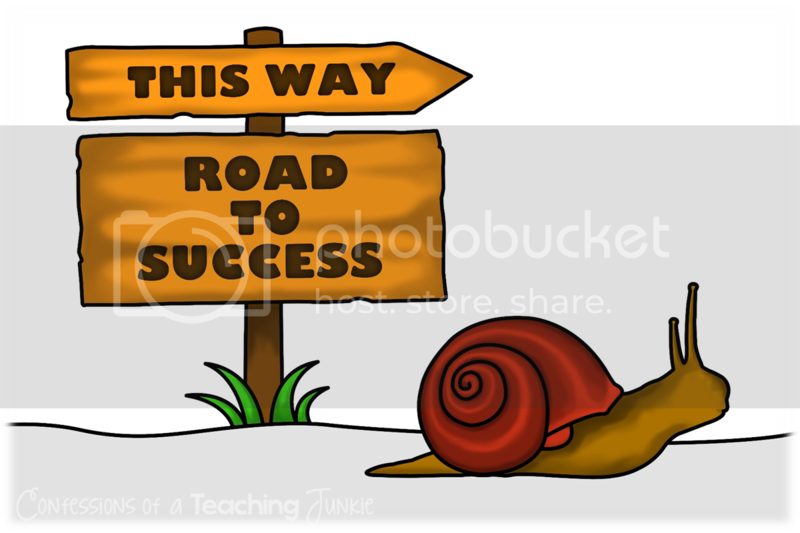 Come back tomorrow to read the rest of the steps for building a growth mindset in your school. Link up to win a copy of the MindUp Curriculum level of your choice. Your visuals brought this chapter to life for me! Changing the way we praise our students really makes a difference. Thanks for sharing your insight! I love the visuals you created for this chapter! Especially the ones about the teachers! I can't wait to share those with my staff! Thank you so much for your great insight friend!